One of the most important parts of planning your big day is the actual timeline for your wedding. Your timeline effects every aspect of your wedding starting with hair and makeup and ending with your exit from your reception. Your wedding coordinator and wedding photographer are excellent resources to help you plan your timeline. To get excellent photos, I usually try to plan in one full hour of photos with the bride and groom and bridal party either before the ceremony or between the ceremony and reception. Because things tend to run late on the wedding day, planning for one hour of photos usually gives us just enough time so we are not rushed during your photos. As a wedding photographer, I’ll focus on timeline planning as it pertains to your wedding photos. (1) What are the starting locations and logistics for the bride and groom when getting ready? (2) What time is sunset on the wedding day? (3) What are the photo locations for the day? (4) Are you doing a first look (where the bride and groom see each other before the ceremony)? (5) How are you and your bridal party traveling (i.e., bus, limo, etc.)? (6) What time will your ceremony start and how long is your ceremony? (7) How many people are in the family/friend photos after the ceremony? (8) What time do you plan on entering your reception? (9) What is your ending time? Now let’s take each one in turn. This will effect the travel time (if any) between the getting ready location(s) and the ceremony site. If the bride and groom get ready at the same location, this will maximize your photos because your photographer can just walk down the hall and take photos of the guys getting ready without leaving the getting ready location. Larger bridal parties take longer to get ready – more hair and more makeup. Hair and makeup almost always run 30 minutes late – it’s like a universal constant. Plan on finishing your hair and makeup 30 minutes before you actually need to be ready and you’ll be ready right on time. You should actually research this before you pick your wedding day. Sunset times vary in Virginia from around 5:00PM in the winter to 8:30PM in the summer. If you had your heart set on taking photos outside in that beautiful garden, make sure you have set aside enough daylight time for those photos. Whatever the travel time is between those locations, give yourself plenty of cushion time for getting lost, stuck in traffic, finding parking, an impromptu beer run, and hiking to that beautiful scenic overlook in heels. First looks are the best! Check out a video (with my photos) of real first look on my blog. A first look is a private and special moment between the bride and groom when you get to see each other, just the two of you, for the first time before the ceremony. Here is why I love first looks: your hair and makeup is best immediately after it is completed, and if we take these portraits right away, your hair and makeup are perfect in your portraits. From my own personal experience, a first look does not take away from the moment when you walk down the aisle – it adds to it! It’s almost like you get two incredibly special moments during the wedding day instead of just one: seeing each other for the first time, and walking down the aisle. Seeing each other before the ceremony takes all of the stress off of you for the rest of the day – because you have already taken your portraits before the ceremony, if the ceremony runs behind schedule (which they tend to do) then the portraits following the ceremony will not be rushed because there is no time crunch for photos after the ceremony and before the reception. 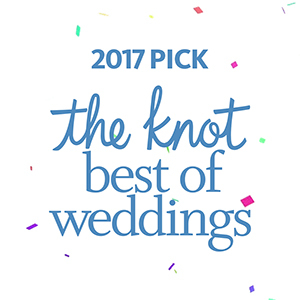 Many of my couples who do a first look even plan to have abbreviated portraits following the ceremony without sacrificing their portrait time; they can get to their cocktail hour early to mingle with their guests. I have never had a couple regret doing a first look! I have only ever had couples who decided not to see each other before the ceremony wish they had done a first look. No pressure! It is completely up to you. (5) How are you and your bridal party traveling (i.e., bus, limo, horse drawn carriage, hitchhiking, etc.)? Even if you have a small wedding party, having your bridal party drive themselves to different locations is risky – people get lost, and parking can be an issue. If one person from your bridal party is missing then those photos have to be put on hold (or might not happen). I recommend arranging transportation so the entire bridal party (and maybe even the photographer if the logistics work out) can all travel together. Ceremonies generally start a little late, however, the bride is never late. If your ceremony starts late, that means it will end late and push back everything else. If you have not planned enough time between the end of the ceremony and the start of your reception, then your photo time will be cut short and you do not want to be rushed on your wedding day. Family photos after the ceremony are like herding cats. Your family pictures from your wedding will be some of your most treasured photographs. It is important that you don’t miss anyone, but you also want to move through the family pictures quickly to make sure there is still time to photograph the bride and groom and the bridal party before the reception. The best way to accomplish this goal is to make a complete list of the family pictures you would like taken and email that list to your photographer so s/he can bring it to the wedding (one less thing you need to worry about!). Please assign one or two family members (who know everyone) to be the “Coordinator(s)” of the family pictures. Your photographer only knows the two of you, and the family pictures always move faster when family members are in charge of the family photos. A strong personality does best as a family coordinator. While the photographer is photographing one group, the family coordinator(s) can organize the next group. When designing your list, check with your parents to see if they have pictures to add to your list. Start with the largest groups first and work your way down to the smallest groups, and ending with immediate family. Listing the family pictures in that order allows you to dismiss large groups of your guests early and then take our time with pictures of your immediate family. It’s also a good idea to email everyone participating in the family photos and let them know that they need to stick around after the ceremony. There’s always one person who wanders off and then we can’t do that specific family photo. Grandma and Grandpa can go first – they are probably tired and need a break. Little kids can also go first – they just want to get to the cake cutting anyway and their parents will thank you. This will effect the ending time for your photos after the ceremony to make sure you get to your reception at the right time. (9) What is your ending time for your reception? The time you want your photos to end at the reception will dictate the time for your photos to begin earlier in the day. Are you doing a grand exit? If so, and you want photos of your exit, make sure your photo coverage time ends at the right time. If you are considering extending your reception time, give your vendors a heads up before the big day and ask what the costs are for extending the reception end time, just so you don’t have any surprises. To Do List: (1) email the photographer family photo list, (2) assign family coordinators, (3) email all family/friend participants to let them know they need to stay for pictures, (4) all flowers arrive by 12:30PM, (5) hair and make-up done by 1:00PM. Great blog post it will be helpful to me.